Are you planning a trip and need to find the best accommodation service in Derby (Derbyshire)? Traveling is one of the most exciting and enriching things to do. However, it might be difficult to book an accommodation within our budget. 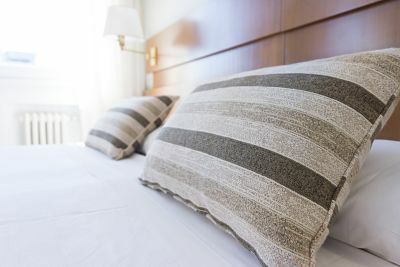 If you need to travel due to work or you just want to spend a little time away from home to switch off, there are many guest houses in Derby (Derbyshire) offering a great service. From Infoisinfo we want to help you to find a nice and cheap guest house and we’ve prepared a list with the best guest houses accommodation in Derby (Derbyshire). Comments and valorations from other clients are also availabes in the website to guide you better and it would be nice if you share your opinion too in order to help others. Guest houses used to be private houses converted into tourist accommodations and the owner used to live in a separated part of it. Although we still find this kind of guest houses, nowadays the idea is getting bigger and they are usually undertood as a small hotel where bed and breakfast is offered. They can be called B&B house indeed. You will save money. Try as you might, you will never find a better price that matchs the quality of the service. If you look for the cheapest hotel, you will probably be dissapointed with the service. Commodity: a guest house is more likely to feel like home than a bigger place. The owners really care about their property and they work hard to keep it nice and clean. Sometimes we pay a lot of money and nothing is as expected or we find damages in our hotel room. If something goes wrong and there is any problem with the facilities, to solve it is quicker and easier than in hotels since you can directly talk to the owner himself. In case of a company running the guest house, it is also easier to solve any fault that may come up. The experince: getting to share a house with other tourists and the owners is a worthly experience itself. Moreover, traditional and home made food it is often served. Based in the centre of Derby. En suite rooms available. Offering excellent guest rooms approved to 3 Diamond English Tourist Council Rating. Full freshly cooked breakfast.